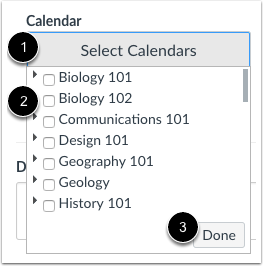 If Scheduler is enabled for your institution, you can create appointment groups in the Scheduler. Appointment groups create a block of time where students can meet with you. Students can sign up for appointment times in their own calendars. Appointments display in your calendar after a student or group has reserved a time slot. Appointment details are also included when you export the calendar using the Calendar feed. 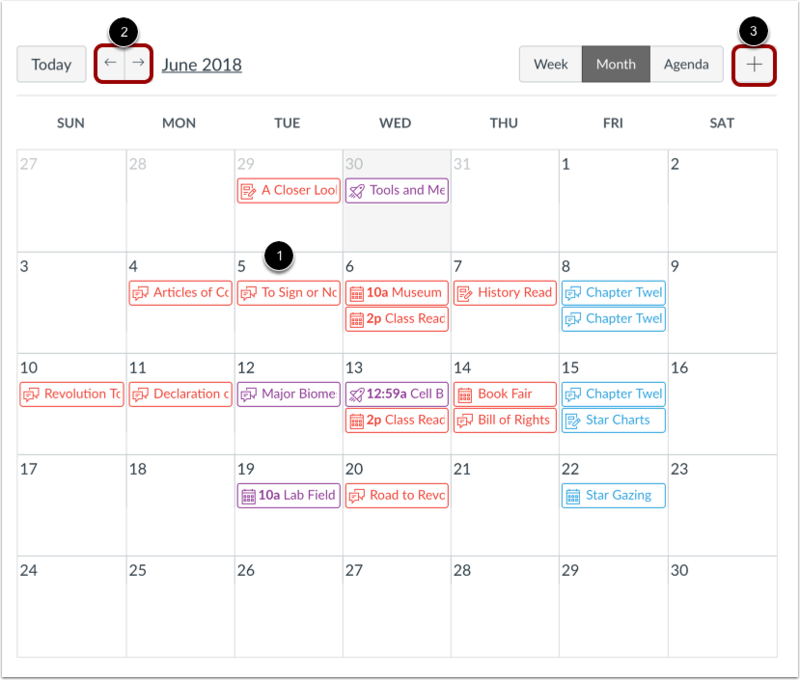 If user participation is limited to dates between the course start and end dates, Scheduler events cannot be edited or deleted after the date the course ends. The Scheduler tool is optional. If it is not already enabled for your account, please contact your Canvas administrator. Click the Appointment Group tab. Note: The groups option is only available if you previously selected the calendar for the entire course. 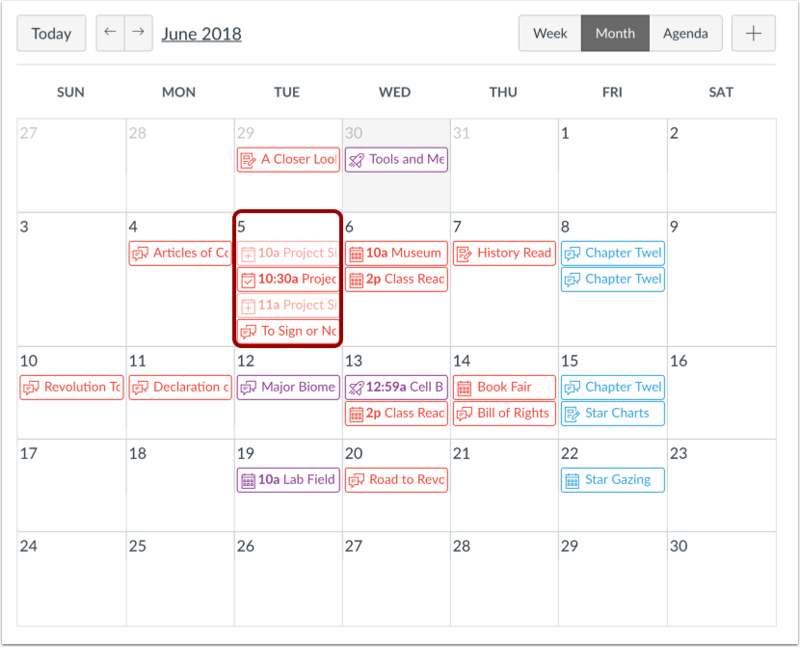 You cannot select a calendar for a specific section because Canvas does not currently support sections in groups. The appointment date, time range, and appointment slots cannot be modified after the appointment group is saved. However, additional dates, time ranges, and appointment slots can be added to the original appointment group. 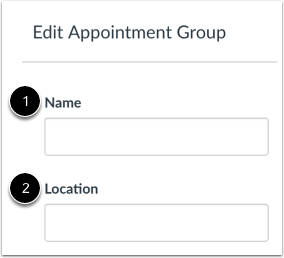 You must create at least one time slot for each appointment group. 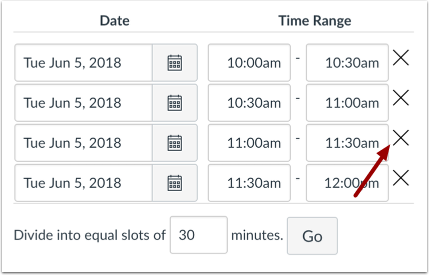 To make the appointment slots public to students in the course, click the Allow students to see who has signed up for time slots that are still available checkbox . Selecting this option also allows students to see comments other students add to their appointments. Previous Topic:How do I subscribe to the Calendar feed using Outlook as an instructor? 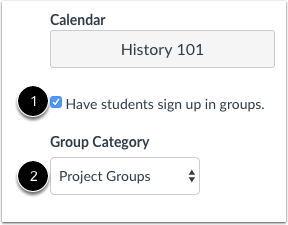 Next Topic:How do I view or edit a Scheduler appointment group in a course calendar? Table of Contents > Calendar > How do I add a Scheduler appointment group in a course calendar?